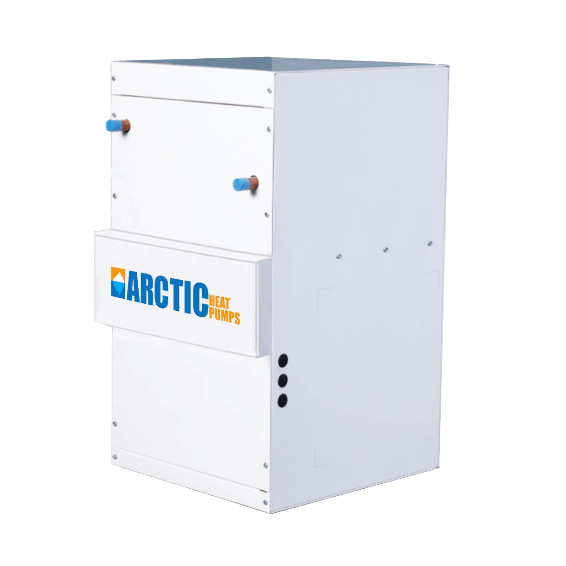 The Arctic Air Handler replaces a centralized forced air heating system. The oversized heat exchanger with 6 rows of copper pipe allowing it to produce heat and cooling at a much smaller driving temperature. Ideal for heat pumps and geothermal. Variable Speed fan control allows one size of hydronic air handler to cover a much larger spectrum. 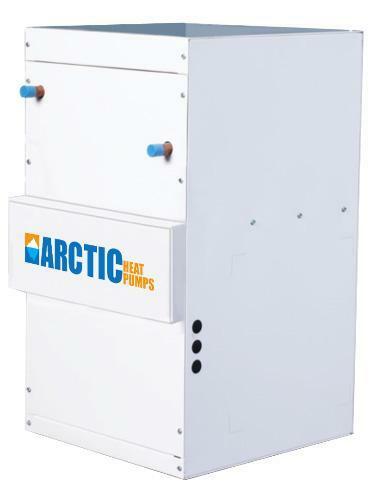 The Arctic LV-Z-1750 can produce 3.5 to 5 tons of heating/cooling while the smaller LV-Z1050 can supply 1.5 to 3 tons of heating/cooling. The VFD hydronic air handler has a built in static pressure sensor that allows it to automatically set the optimum fan speed for the given house design. This means sizing the fan to the duct size is virtually eliminated.